In the aftermath of Tim Cook taking center stage and announcing the iPhone 5 and it’s new screen size, the next announcement is a from a long time partner in protecting the iPhone with OtterBox. OtterBox, best known for it’s ultimate in protection Defender Series Cases is back with not only cool new looking colors, but a new series as well. 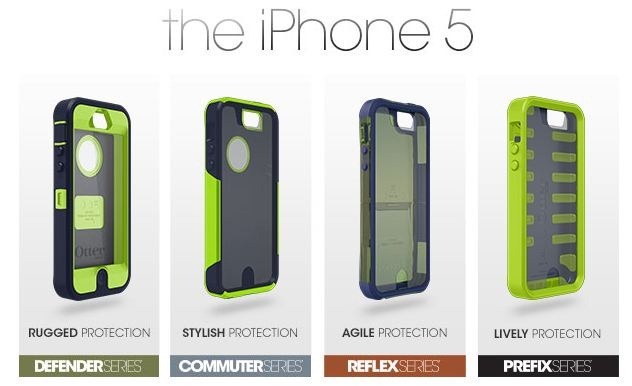 The Prefix Series case for the new iPhone 5 provides a sleek yet sturdy solution to protect against shocks and bumps. The internal skeleton provides structural support while the self-adhesive screen protector prevents scratches and smudges. Get tough protection and one-step installation with the Prefix Series for the new iPhone 5. The Defender Series will cost it’s standard price of $49.95, the Commuter Series $34.95, the Reflex Series $34.95, and the Prefix Series will be OtterBox’s new cost effective case at $24.95. All of these are available for pre-order on OtterBox’s Website. Next articleWhat are people commenting about the new iPhone?